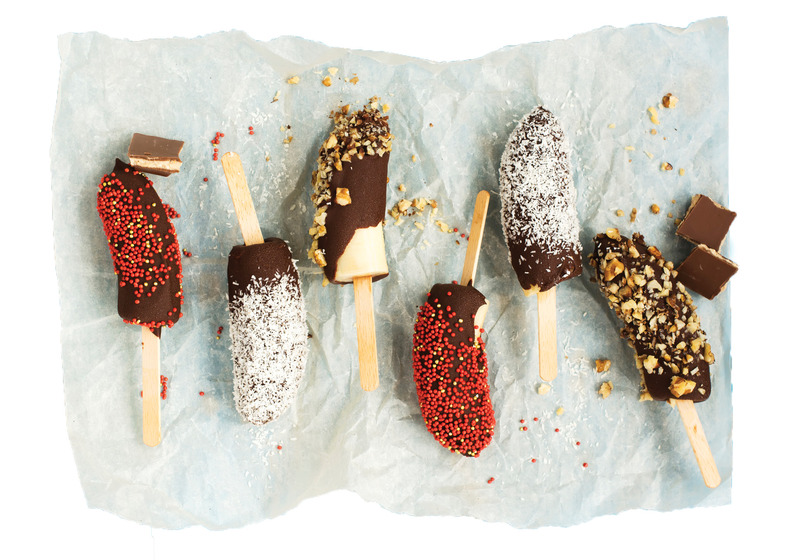 Frozen bananas are a simple and healthy alternative to ice cream or any other cold treat. They’re fun to make – and eat. 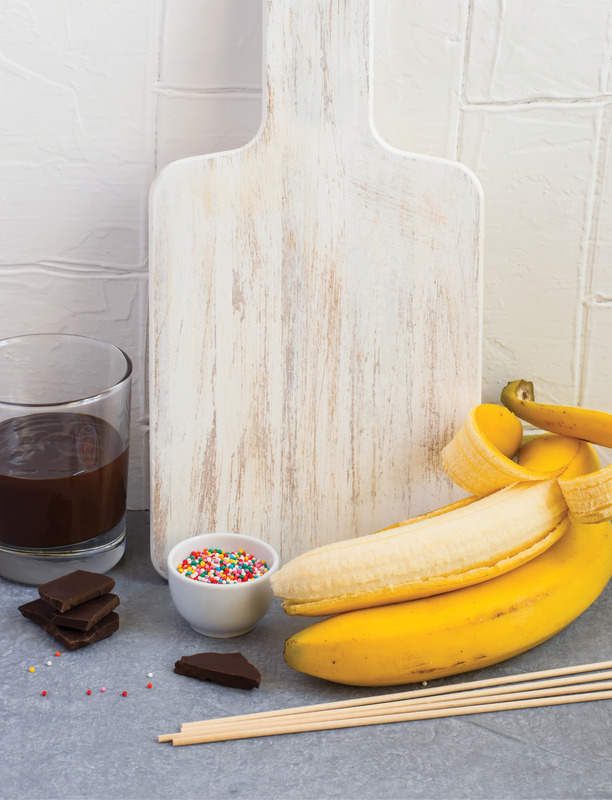 In fact, your kids will go “bananas” over this recipe. Line a baking sheet with nonstick foil or parchment paper. Cut each banana in half and insert a Popsicle stick (or chopstick) into the flat end of each half. Place bananas on the baking sheet and freeze for 15 minutes. Melt the chocolate with the oil in a glass measuring cup in the microwave in 15-second bursts, stirring between bursts. Stop when there are still a few lumps of chocolate and stir until all the chocolate is melted and smooth. Roll each banana half in the chocolate, then sprinkle your favorite topping on the chocolate. Freeze until the chocolate sets, about 30 minutes. Serve or freeze in an airtight container for up to a week. Other ideas: In place of the chocolate, try dipping the frozen bananas in yogurt or melted peanut butter (or other nut butter), then sprinkle on some sweetened coconut flakes or granola. Great as dessert or breakfast on the run.